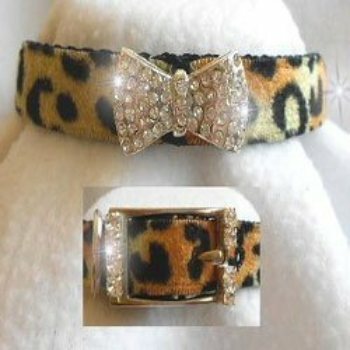 This sweet designer leopard dog collar is velvet sewn onto nylon webbing and is 5/8" wide. It has a Swarovski crystal bow and buckle. The bow is sewn on. So Cute!